Celebrate the end of Spring at the 2018 Taste of Howell Mountain, a Wine Tasting and Auction event in upper Napa Valley on Saturday, June 16th. This is one party you should definitely RSVP for because the festivities include premium wines from the Howell Mountain appellation along with delicious food, live entertainment, and both Silent and Live Auctions. We’re talking about wineries such as Arkenstone Vineyards, Black Sears, Davis Estates, Dunn Vineyards, Lamborn Family Vineyards and Robert Craig Winery, all pouring tastes alongside the host winery Charles Krug Winery (2800 Main Street, St. Helena). 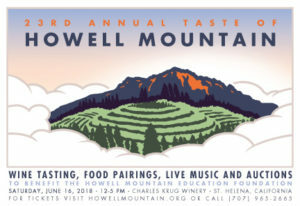 Between noon and 3 pm at the 2018 Taste of Howell Mountain you’ll enjoy a Walk-Around Wine Tasting, Food Pairings, Prizes, a Silent Auction and Live Music from The Hummingbirdz. 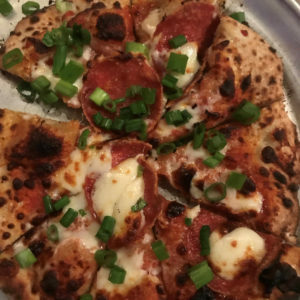 Something new for 2018 is that the culinary treats will be courtesy of popular local food trucks Ring of Fire, Taco Addiction and Crossroad Chicken. Then, from 3 pm to 5 pm you can sit and enjoy even more Howell Mountain wine as you watch (and hopefully participate in) an active and festive Live Auction. Howell Mountain is well known for its incredible Cabernet Sauvignon and you’ll find many wines crafted from that varietal. But, there’s more to Howell Mountain than just Cabernet and in prior years we’ve particularly enjoyed the Arkenstone Vineyards Sauvignon Blanc, Robert Craig Winery Merlot, Bravante Vineyards Cabernet Franc, Black Sears Zinfandel and Retro Cellars Petite Sirah. 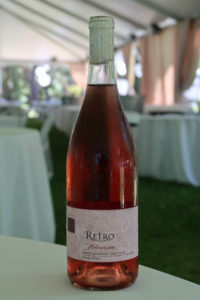 We’ve also been big fans of Rosés from KrisTodd Vineyards, Lamborn Family Vineyards, Retro Cellars and Robert Craig Winery. Tickets for the 2018 Taste of Howell Mountain are $150 per person or $1750 for a table for ten. This is the 23rd annual event and once again this year’s proceeds will help benefit the Howell Mountain Education Foundation. Last year, the Howell Mountain Vintners and Growers Association (HMVGA) was able to donate over $61,000 to the Foundation. But, you should move quickly because this event will definitely sell out so just click here. Over 40 premium wineries will showcase their wines at the 2018 Taste of Howell Mountain including ADAMVS, CADE Estate Winery, Cimarossa, Clif Family Winery, Cresta Velia, Duckhorn Vineyards, Howell at the Moon, Howell Mountain Vineyards, La Jota Vineyard Co., Moone-Tsai Wines, Outpost Wines, O’Shaughnessy Estate Winery, Paraduxx Wines, Piña Napa Valley, Prim Family Vineyard, Red Cap Vineyards, Round Two Wines, Selah Wines and SPENCE. To see the complete list of participating wineries and/or to purchase tickets, please go here. 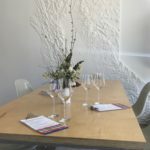 Afternoon of Fine Wine & Culinary Delights for 10 – A private luncheon for 10 at SPENCE winery with the winery’s owners, where guests can enjoy playing bocce, taking a swim and/or savoring dishes and wine pairings based on a customized menu from a local chef. Fly-Fishing Adventure at Mammoth Lakes – Two nights in a beautiful condo in Mammoth Lakes in the breath-taking Sierra Nevada Mountains, with a day-long guided fishing trip with your own personal guide, and a case of wine from Black Sears featuring their Cabernet Franc, Cabernet Sauvignon and Zinfandel bottlings. Long Weekend on Howell Mountain for 6 – Exclusive use of a 3-bedroom home on a private ranch, with a special dinner from a local chef, private tours at Arkenstone and CADE Estate, and a combination of 11 bottles of Howell Mountain wine from Arkenstone and W.H.Smith. 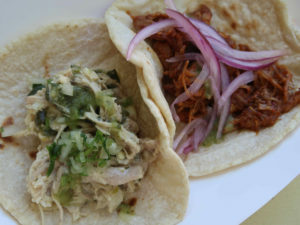 Pig Roast at Summer Lake – A Table for 8 at Summit Lake Vineyards & Winery’s annual down-home Pig Roast Party featuring farm-to-table dishes, current and new releases, and a dance floor hosted by a DJ spinning tunes. 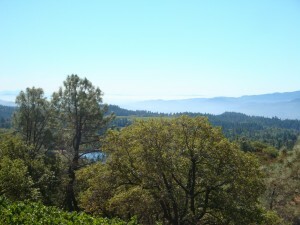 Howell Mountain got its name from the Isaac Howell family who moved to the area in 1846. While rivers and property lines frequently define the boundaries of an American Viticultural Area (AVA), the Howell Mountain appellation is officially based on a 1400 foot elevation contour line around the mountain. In other words, this AVA (which was established in 1983) is literally a mountain top. At this altitude, the vineyards experience cooler daytime temperatures, warmer evening temperatures, rocky and porous soil conditions and rainfall that is nearly twice that of the valley below. All of this translates into deliciously rich complexity and flavor in your glass. The Taste of Howell Mountain event takes place at the historic Carriage House at Charles Krug Winery and is brought to you by the Howell Mountain Vintners & Growers Association. The Association has a long history of community support, and in addition to its ongoing support of the Howell Mountain Education Foundation, they also donated $12,000 to the Angwin Voluntary Fire Department in January 2018, in response to the late 2017 wildfires. Once again, we encourage you to purchase your tickets soon so you can come indulge in the wines made from grapes grown “Above the Fog” and have fun bidding on auction items. For more details on a VIP Table for Ten, please contact Sam Peters at sampeters_tohm@live.com or call 707-965-2665.